I haven't done much training the past month. Yeah, yeah, I've been busy with the kids (school is winding down for the summer so there are lots of year-end activities), and mowing the grass and other outdoor chores are suddenly sucking my time, but the truth is I'm just not that motivated to train for flyball right now. The next tournament we're competing in is September (I think), and I'm more of a deadline-oriented kind of person. You know what doesn't help? I train alone most of the time -- my team is several hours north, so I have no weekly practices to attend and nobody close by pushing me to do anything. I did just read The Culture Clash by Jean Donaldson last week -- what an amazing book. She mentions flyball a few times, calling it an activity that "plugs into the predator in the dog" (like lure coursing, herding, and field trials). She meant this in a good way. 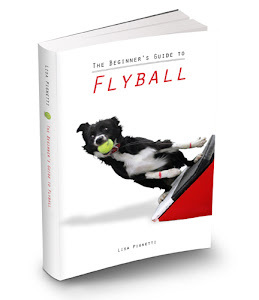 There is so much great information you can pull from this book to help you with flyball training (and maybe if I could get motivated, I'd try some of it) -- exercises for getting reluctant tuggers to tug, reluctant ball retrievers to retrieve, building great recalls, becoming the ultimate reward to your dog, etc. All with a very positive training style, with a lot of behavioral science to back it up, presented in a way that I could understand. Plus she's really funny. I'm hoping that you guys can help me jump start things. Has anybody had a training breakthrough lately that they want to talk about? Or learned a cool new drill or trick (like the "hold your dog upside down to make him drop the tug" trick i learned a few months ago)? Or maybe a new training video of your dogs to share? I'm with ya Lisa. For me, finding that I can practice with the local team that I am not even a member of has been a big relief. Sometimes I work my dogs hard during their practices and sometimes I don't. Mostly, it is really fun for me to help with all of their new dogs. It also gives my dogs a chance to run with new dogs, and to contribute to their team. For instance, Emma and Vito are used for chase drills quite a bit. Their dogs really turn on the speed when chasing, but thei faster dogs don't have anything to chase typically. So that's fun for me to help, and fun for Emma and Vito to play. My motivation has been that it is getting super hot down here, and I owe it to my dogs to prepare them for a weekend of hard running in the humidity and heat. Lisa - motivation is hard. I have had practice recently and just went to a flyball seminar and I don't have the motivation to work with Nali at the moment. She did do much better than expected at the seminar though. She is a nervous dog since she was not socialized as a puppy. She has some fear aggression but at the same time is a dominant dog. It makes for interesting interactions. We adopted Nali Feb 22 and she is already doing full runs mind you not at top speed. We are going to back off and work on building drive to the box. Her return is pretty good though. At the seminar Nali actually did what was asked again not full speed or as pretty as it is in practice but she did it. This was a big accomplishment. We definitely need to get her "working" in more unknown areas so she builds her confidence. We will be working with her at SDR Friday night. Maybe we will even remember to take video. So Lisa - remember just 5 minutes a day of flyball training will accomplishment a lot and you don't need to do it every day. You can do it. Fringe needs work and training will help get her confidence up and before you know it she will be ready to race for real. That would definitely make you feel accomplished and sometimes we all need that feeling to keep up the training. I just started working with my dog, and we finally have a decent turn on the box, and she's going over all four jumps without deking. My next challenge is to get her to bring a ball back to me. So we're going to be working with the clicker and a dead ball for awhile. Wish me luck. I do have a video, it's of her box turns on day 1. She's gotten better since. Ahhh, motivation. That's a tough one for me right now given that every training session seems to end in frustration with my youngest dog. He recently had a big breakthrough with catching the ball from the box at full speed. However, the trade off is that he doesn't push off with his back feet anymore when catching - just lets his back end hang in the air and then puts his feet down on the mats once his front feet are off the box. I'm not sure how to tackle this one - the things I've tried haven't been very successful - just bits and pieces but nothing seems to be coming together. Like Kim said above, just 5 mins a day can pay off...I'm wondering what year my daily training is going to pay off with this guy! Didn't help that a teammates loaner dog (not her dog, but she's training/running it) seemed to nail the box in three practices and is now doing a jump to the box, beautiful turn + ball and back over a jump. Love my dog, but would have traded him in a sec last practice when compared with that! Oh yes, comparing dogs ability to learn new things can be a downer. We have that on my club right now. We have a couple dogs that pretty much all started training at the same time including my Nali. Yes Nali is further along than the others but I also worked her at home a lot as a release for her- rescue with no training. The others are not quite where Nali is in training and at times the owners are pushing their dogs too hard for what they can handle and I have to step in and make them back off. I keep telling them Nali is a different breed and learns new things quickly but I am sure when it comes to passing and actual racing that I will have my problems. Just remember that somewhere along the line your dog may learn some other aspect faster. Oh yeah, I can totally relate to this one, Tanya. There are dogs who I helped teach in a beginner's class last year who are now racing and doing quite well (and these were adult dogs with no prior flyball training), while several of my own dogs, who I got as puppies specifically to play flyball, still aren't racing yet. Argh. Well, Jayne, you're the one who finally pushed me into doing something. I thought - 5 min or a cheese stick - I can do that. Then I thought - I'll start tomorrow, b/c I need to pick up the kids from day care. Then I thought - Fool! It will only take you 5 min, that's the whole point! So I grabbed a cheese stick out of the fridge and went to the garage with Fringe for box work. I didn't use the touch stick this time, just pointed to the box and said "Hit it" then ran away with the cheese. She looked great. I need to add the ball in soon. Thanks, everybody, for pushing me into action. For Tanya and Dee. 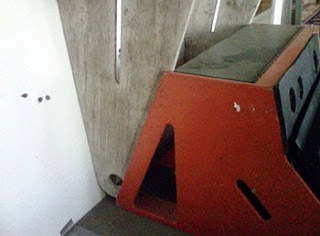 Work on the initial angle of attack into the box. Video tape and look at the placement of the front paws when they hit the box. Most likely they are very vertical. Please contact me privately at zchernik@4gci.com and we can discuss in greater deatil. Don't miss a post! Subscribe today.